Closed Thanksgiving Day and Black Friday, OPEN Small Business Saturday! So I’m going to have to put a hold on some of my repairs for the next few weeks. Apparently mountain biking can be dangerous, who knew? Last week while riding I went over the handlebars, and flew directly into a tree, torpedo-style. 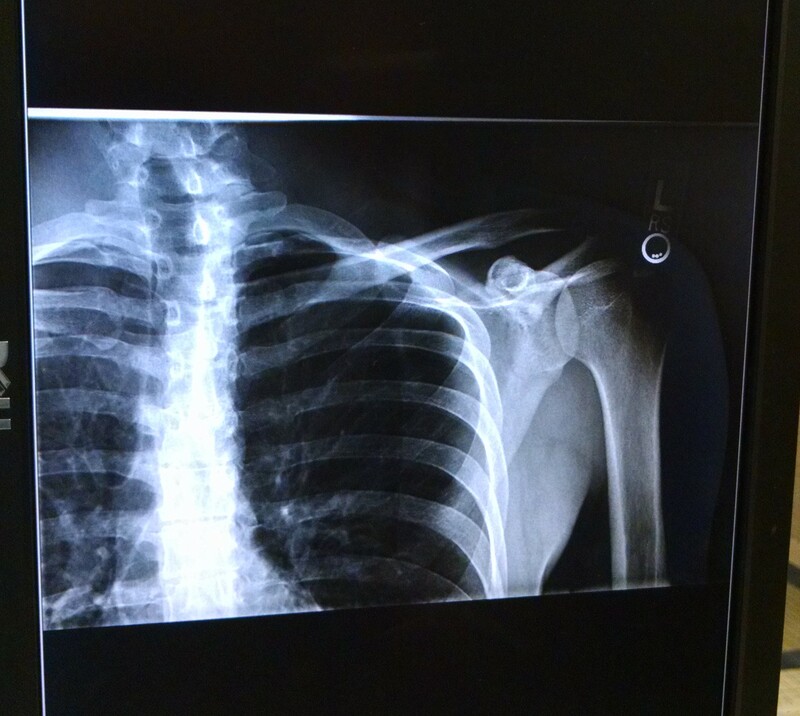 End result: I fractured my scapula (shoulder blade) on my left side. The injury itself is not too serious, but it is painful, and I have spend the next couple of weeks in a sling, to keep it immobilized. It’s fairly inconvenient, yes, but I’m not going to let it get me down. I’m already feeling noticeably better, just week after the crash, and I’ve got a fair amount of movement back. I’ve started testing my arm, to see what repairs I can still do. I can continue performing some service, just not all of it, and not particularly fast. And in case you were wondering, don’t worry, my bike wasn’t hurt in the crash.